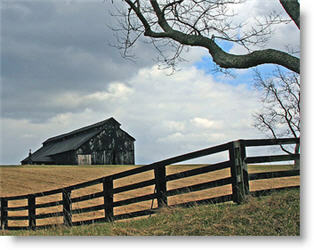 Kentucky has over 1/2 million seniors that make up about 12% of the state population. A majority of these seniors are in Louisville and Lexington although there are also many seniors in Ownesboro, Bowling Green, Covington, Richmond, Henderson, Hopkinsville, and Frankfort. The cities of Florence, Jeffersontown, Paducah, Nicholasville, Elizabethtown and Ashland are small enough that there are far fewer options for assisted living facilities, nursing homes or other senior living options. The overall cost of living index in Kentucky is 94 (100 is average) ranking Kentucky as the 18th cheapest place to live and retire in the county. Although utilities (103) are above the nationwide average, the cost of housing (83) is very low and the cost of health care is below average also. The Department for Aging and Independent Living inspects all Kentucky assisted living communities on an annual basis. Copies of the inspection reports are maintained by the Open Records Department at the Division of Aging Services. You can reach them at 502-564-6930. There may be a charge associated with reports. To make or check on complaints for an assisted living facility, call the Department for Aging and Independent Living at 502-564-6930. You may also want to post a review on this site to help other Kentucky seniors with their assisted living facility search. Assisted Senior Living was designed to be used in conjunction with these great local resources to make selection of an assisted living facility quick and stress-free. This directory includes 576 assisted living options for Kentucky. Use the "Advance Search" to find the nearest 40 senior services based on your desired location or select a city and then choose a tab to see different types of senior care including nursing homes, Alzheimer's care centers, CCRCs, independent living, in-home and hospice care. Here are the direct links to Bowling Green Nursing Homes, Elizabethtown Nursing Homes, Hopkinsville Nursing Homes, Lexington Nursing Homes, Louisville Nursing Homes, Owensboro Nursing Homes, Paducah Nursing Homes, Richmond Berea Nursing Homes, or use the advanced search and limit your results to Nursing Homes. The quality and amenities range widely across the state. Smaller rural assisted living facilities offer more private service and may be much more central to friends and family. Larger facilities in larger cities offer more amenities both inside the facility and in the surrounding areas. For seniors who expect few visitors, a larger facility with more activities can keep them active and happy. Other factors like facility cost and environment should have a big impact on your selection. Try to visit as many Kentucky assisted living facilities as possible before making your final selection. Once you have pared down your list, use our checklist to ask some of the hard questions about a facility. Try to talk to current residents and staff about the environment and avoid facilities where TV is the main activity. Nothing makes a brain go soft faster than watching TV. You also should contact the Division of Aging Services to check for any negative feedback about a facility.